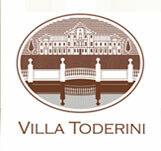 Villa Toderini, Bed & Breakfast near Conegliano, offers the opportunity to book a welcoming and functional accommodation, equipped with the best of comforts and a private entrance right by the main building. The apartment consist of a kitchenette, a double room, a bathroom with shower, and is available for a stay of at least 7 nights. Check online for availability and our best offers.